Much has been made of the health in the Yankees’ starting rotation, from the front-end arms of Masahiro Tanaka and Michael Pineda to the depth potential in Ivan Nova and CC Sabathia. New York will be going into the regular season likely with a rotation different from its powerful bullpen which should have depth and high upside, but similar to its offense, potentially better than last year but still full of question marks. Each pitcher has a different issue they will be dealing with for the start of the season with varying levels of risk and upside. Eovaldi was acquired this winter from the Marlins along with Garrett Jones in exchange for reliable swing starter David Phelps and super utility hitter, Martin Prado. Offering a 6’2″ frame, a high 90’s fastball and no injury history to speak of, the only questions here will be how the big righty responds to a down year last season when he lead the NL in hits against. Still, with pitching guru, Larry Rothschild on their side, an arm ready to break 200 innings and Eovaldi still only 25 years of age, the Yankees have to be confident they can pencil their new acquisition in comfortably throughout the season. The Yankees have one tall rotation with Sabathia’s 6’7″ frame not even head and shoulders above the rest of his rotation mates. It’s that same 6’7″ frame which has left many wondering how the lefty will recover from knee operations on both knees in the past four years. It’s easy to look at his gained weight and fear for his knees, or to view a recent bout of ineffectiveness (the past two seasons) and ill health as cause for much concern this year. 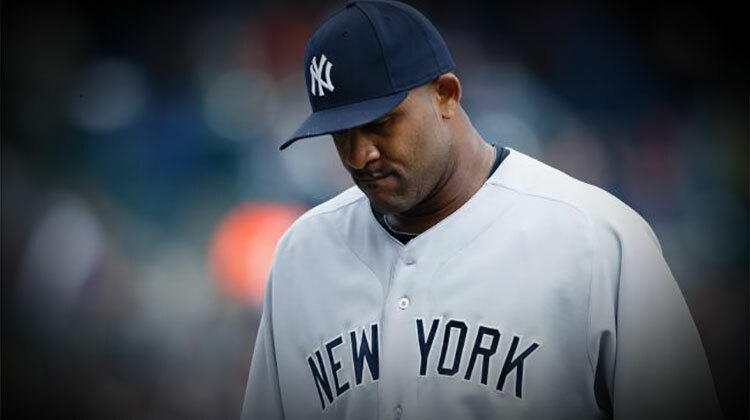 Many forget Sabathia avoided the major microfracture surgery and instead underwent arthroscopic knee surgery instead. Why is this important? The “season ending” aspect was misleading last season since Sabathia didn’t get hurt until July. In reality, he suffered a two month long recovery and has had a full winter to recover. Coupled with the fact CC could be one of those guys who plays better, bigger, (and clocked in at a reported 305 LBS) and Sabathia may finally be ready to pitch a little better than the 17-17 and 4.78 and 5.28 ERAs he has posted over his past 257 innings the past two years. While Sabathia will likely never recapture the mid 90’s fastball or the “ace” numbers, he did consult with Andy Pettitte about how to adjust to pitching with lost velocity (some of which he may gain with his bigger frame) and that could result in an ERA closer to 4.00 and a middle of the rotation arm for the Yankees. Tanaka came back with only good reports after throwing his first bullpen of the spring and is off to a good start in the smallest of sample sizes this season. Last year’s biggest import was pitching like an Ace and potential Cy Young candidate before a partial tear of his ulnar collateral ligament caused him to miss two months and has left many believing he is a walking time bomb this year. 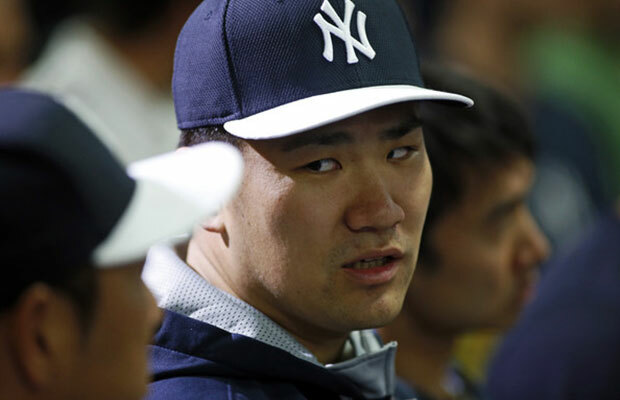 What many forget (or choose to ignore) is the Yankees’ decision to skip surgery for Tanaka was at the advice of not one, not two, but three different Doctors from two different ball clubs (the Yankees and Dodgers). 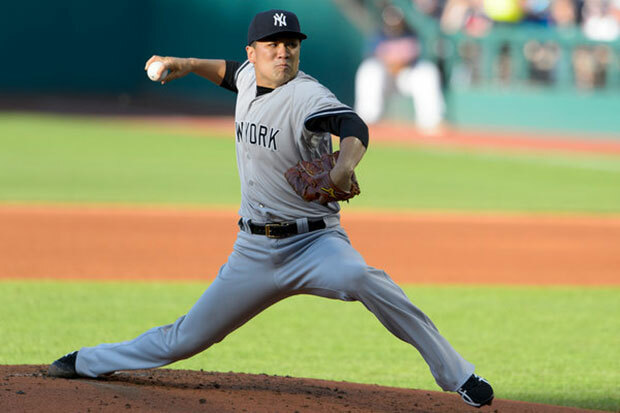 Tanaka also did return last season, finishing his final two starts of the year. With a full winter of rest and rehab, it’s not out of the realm of possibility Tanaka’s injury is completely in his past, as pitchers like Zack Greinke and hitters like Matt Kemp and Russell Martin have recovered without surgery just fine previously. The tear was there, but it was slight, which is a big difference from how some are perceiving it and could mean the worst is behind the 26-year-old, who may just be young and strong enough to be an ace and lead the rotation. Nothing to see here, just your common Tommy John surgery for a pitcher in his prime. Nova struggled mightily during April and we may have seen why, he ended up missing the rest of the year after undergoing the popular elbow surgery. Tommy John has impacted many of the game’s best starters in recent memory and now faces success rates upwards of 80% in present times. Nova, still just 27-years-old, has recovered quickly and is already throwing fastballs off a mound. With no setbacks so far, Nova could join the team as early as June, where he will be 14 months removed from surgery, a respectable time period to come back and regain former success levels. Provided Nova does not face any setbacks over the next couple of months, the Yankees should have no concerns about Nova’s ability to make an impact during the second half of the season. Pineda is possibly the biggest and most important wildcard this year. While guys like: Nova, Sabathia and Eovaldi seem like fair bets to come back better than last season provided there are no setbacks, Tanaka and Pineda are the difference between a .500 team and a WS contender. Pineda also had the only injury with a potential “death sentence” attached to it. While TJ surgeries have more than an 80% success rate, shoulder injuries tend to be a 50-50 tossup. 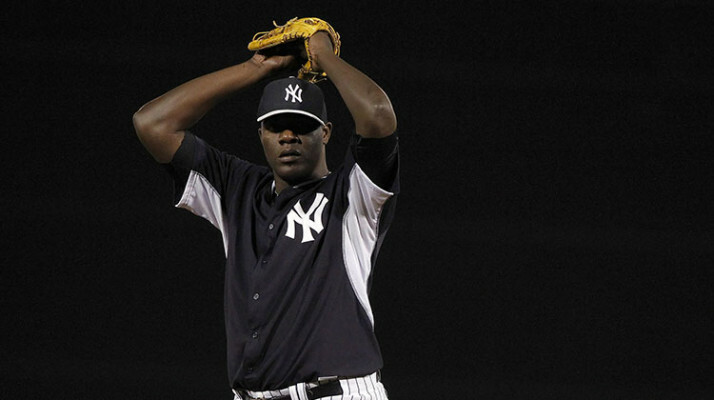 Since joining the Yankees three years ago, Pineda has yet to throw over 76.1 innings and all of those were last season. In his career, Pineda has never thrown 200 innings and even last season he missed nearly four months with shoulder inflammation following a strain in one of his muscles. Here’s the silver lining: Pineda recovered to make his final nine starts last year and he was dominant. Generally, pitchers who don’t have a future in MLB after shoulder injuries A: Don’t recover and B: aren’t in their primes at 26-years of age. While shoulder surgery is much more serious than say, elbow injuries, the outlook has improved over the years. In 2004, it was the end of the line, now? It’s a wildcard, but usually pitchers don’t recover to pitch like a Cy Young candidate, something Pineda did at the end of last year. It will be three years since Pineda’s shoulder surgery (a lesser surgery than the one that is usually career threatening) and even he has claimed he doesn’t even think about it anymore, something most players who never recover, admit is always on their mind. The only pitcher who was in his prime (or younger) and suffered the exact same injury as Pineda in recent memory was Anibel Sanchez, who went under the knife in 2007 and has been one of the better starters in baseball the past few seasons. With an undamaged rotator cuff, there have been at least 11 starters to throw more than 400 big league innings post any form of shoulder surgery, including Roger Clemens and Chris Carpenter. Of those 11, five starters threw over 1,000 innings and most were not as young as Pineda. While critics tend to treat all shoulder injuries the same, the fact of the matter is Pineda avoided major variables to career-threatening outlooks when he underwent his, especially at the age he had it done. While nobody is going to feel at peace with Pineda’s health potential until he puts together a full major league season, there is reason to be optimistic headed into the 2015 season.